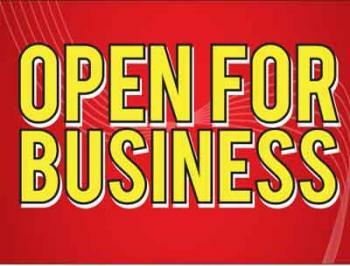 This brightly colored Open for Business sign is sure to get your message noticed. The message/design on the sign is printed on BOTH SIDES to double the impact and exposure of your message. These New Business yard signs are printed with UV resistant inks that offer great all weather performance. The bright and colorful message patterns help your message stand out.